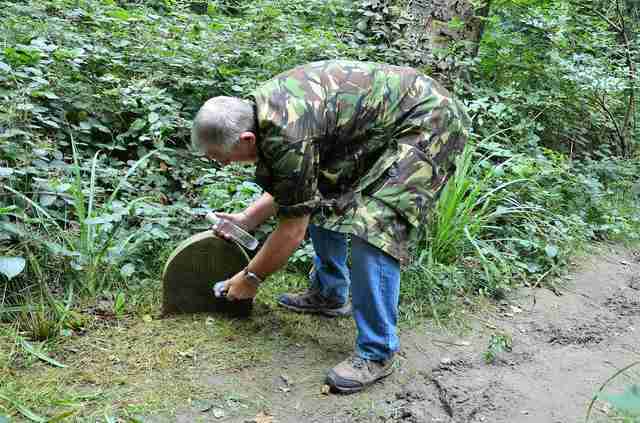 On a walk through the woods in England a few years ago, photographer Sid Saunders nearly stumbled after stepping off the dirt path to avoid a puddle. Saunders thought he had stubbed his foot on a huge rock — but when he took a closer look, he noticed it was something so much more. 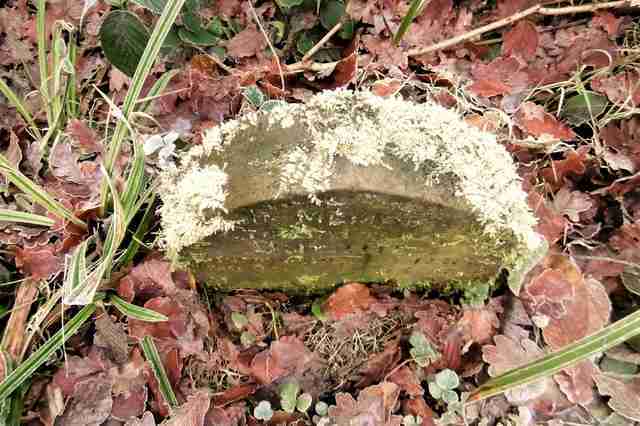 It was a tiny, moss-covered tombstone that was just barely peeking out from behind the fallen leaves. 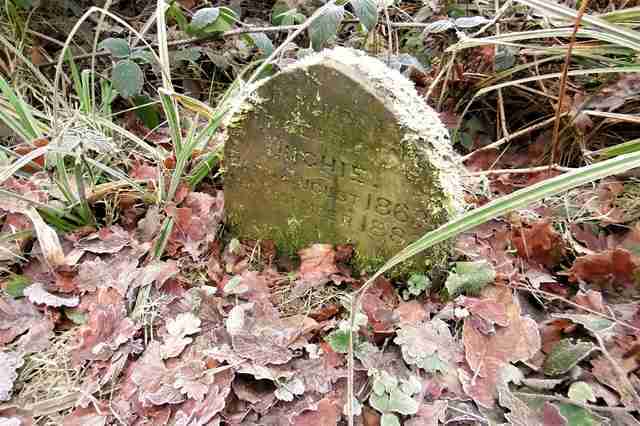 Seeing how filthy and dingy the old grave had become over the years, Saunders thought he would spruce it up a bit — and then he would be able to read who was buried there over 130 years before. “I made a point of going back the next day and cleaned it up, plus the area around it,” Saunders told The Dodo. Once the grime and moss had been removed, Saunders realized it wasn’t just an ordinary gravesite. It was dedicated to someone’s pet rabbit — who apparently had passed away in 1882. Saunders was expecting the little grave to possibly belong to a dog — but it was clearly someone much smaller. With proper care and plenty of attention, pet bunnies live 10 years or longer. Duchie, fortunately, lived to the ripe age of 13 — and his owners sweetly purchased him a custom headstone when he passed away. Pets are family, after all. “[He] must have been well looked after to live so long,” Saunders added. The land where Duchie is buried used to be part of a private estate in the 1800s, Saunders said, so it’s likely the rabbit belonged to whoever lived there. The area of forest is now known as Marline Wood, and consists of a series of footpaths where people enjoy walking and taking photos in nature. 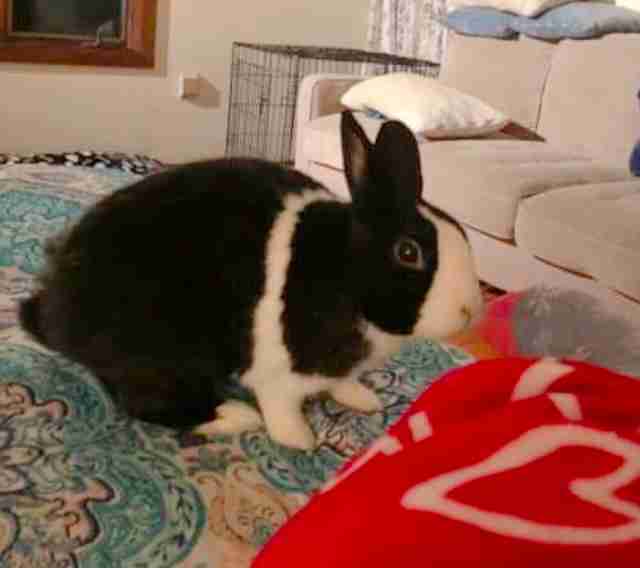 While a lot about this bunny’s family remains a mystery, one thing is for certain — they cherished their little pet rabbit very much. And thanks to the kind family and Saunders’ rediscovery of the grave, animal lovers can honor Duchie now, over 130 years later. 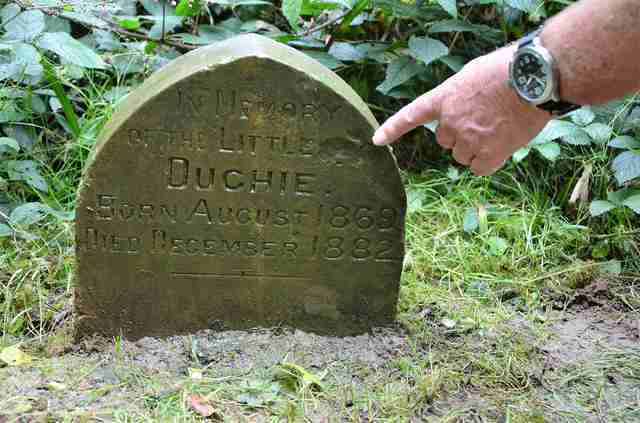 To visit Duchie’s headstone in England, you can view more information here.